Starting out a new hobby and wanting to venture in the elite world of woodworking? WEN 3920 is a go to saw for the beginners out there. Just a warning if you do decide to get this saw. It’s a rare find and Amazon’s website states shipping will take 2-5 MONTHS!!! 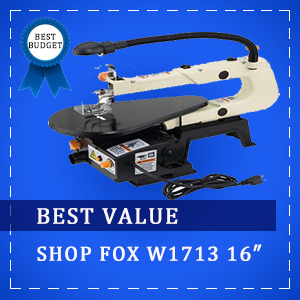 The WEN 1.2 Amp 16-inch Variable Speed Scroll Saw provides you with entire control over your designs. The variable speed ranges anywhere from 400 to 1600 strokes per minute and can be effortlessly adjusted by the speed knob that can be found on the front of the machine. The saw is on the low end in terms of its price and with that prices doesn’t leave much in the perks department. It’s just a basic scroll saw that does what it needs to do and will allow a newbie to test out the (woods) waters first before paying a lot of money for a really good saw. Its body is engineered with cast iron making it better in terms of vibration control compared to a couple top brands out on the market, so it does carry some perks to it. The plain end blades are effortless to change out and keep in place very well. Very little vibration and the LED light works really well. 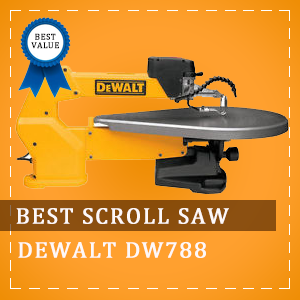 You can pay more, and most likely get more, but if you are just cutting as a hobby and not for a professionally, this saw will suit your needs for some time to come and is great for jigsaw puzzles. The air blower could use a little extra power behind it otherwise you find yourself manually cleaning away the saw dust, minor issue, but worth mentioning. Also, the blades aren’t very easy to change out. The bottom part where the blade attaches is mostly covered, so threading the pinless blades down there can take some getting used to. If you’re planning on doing a lot of internal cuts, you may want to contemplate purchasing a different saw where blades can be changed with more ease. Beginners or the hobbyist. Not intended for the professionals. Overall, it’s a good saw and does what it needs to do, but it is not as good as the other models out there that are in the same price range. Not to mention it’s whereabouts are like a needle in a haystack or prepare to wait a long time for the delivery of this saw. 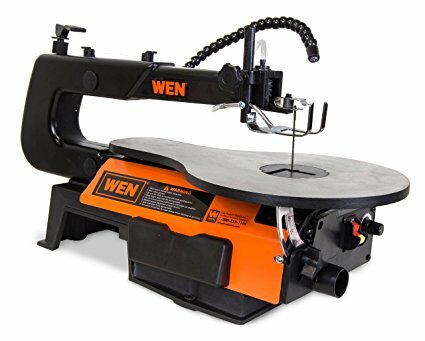 If you really want this machine, have at it, but I recommend checking out all the other great Scroll saw reviews mentioned in this website.